Individual & Group Triathlon Training for ages 13 to 75! You are never too young or too old to compete in the sport of triathlon! Want to cross the finish line in your first triathlon, improve your swim, bike, or run time or become a top age grouper I can help! I will design a customized training program that help you reach your goals. Plus, with my encouragement knowledge, race and training tips, reaching your goals will be easier and a lot more fun! We train for lots of great races! 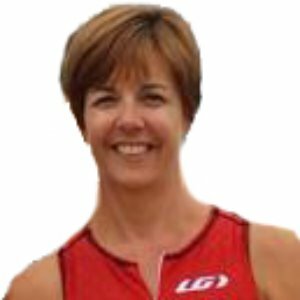 Twelve years of experience as a triathlon coach. I have coached hundreds of adults in children in the sport of triathlon in the Sprint, Olympic, Half- Ironman and Ironman distances in group settings and individually. I hold triathlon-specific masters swim classes, open water swim clinics and give private pool and open water swim lessons. I have completed over 80 triathlons in the past 18 years. I am a National Olympic Distance qualifier and have completed one Ironman and Four Half-Ironman's. Success. Coach Pamela Nichol has been notified of your message.